When Rick Fedrizzi co-founded the US Green Building Council in 1993, to promote sustainability in the building and construction industry, he never could have imagined the sweeping global impact the non-profit would have. Today the USGBC’s LEED (Leadership in Energy and Environmental Design) green building certification system is the globally recognized symbol of sustainability, a rating system that measures the environmental impact of buildings. More than 94,000 projects (with over 2.4 million sq. ft. certified every day) in over 165 countries and territories have earned certification. Since stepping down as CEO in 2016, Rick has become Chairman and CEO of the International WELL Building Institute (IWBI). With full-time staff across the U.S., UK, Europe, Australia/New Zealand and Asia, IWBI is working on almost 1,300 projects across 44 countries. In 2014, after several years of research, the institute introduced the WELL Building Standard, a global voluntary certification program focused on the health-and-wellness impact of buildings on people. Through this certification process, WELL aims to offer the same rigor in the arena of health/wellness that USGBC’s LEED certification applies to environmental performance. We caught up with Rick to better understand IWBI’s mission, the WELL Building Standard and the positive impact he believes it will have on the quality of life for people across all industries, especially senior housing. Under your leadership LEED grew to become the world’s most widely used green building standard. That’s a tough act to follow. Where do you see WELL in 10 years? With LEED, we created a market that didn’t exist at the time, and it was the catalyst for what is today, a global trillion-dollar industry, if you consider all the green real estate, products and services that have come online. With WELL, I’m confident we’ll do the same in about half the time. We’re building on the existing infrastructure and sustainability movement and not making it up as we go along like we had to do with LEED. And we’re the first to advocate that it absolutely has to be “both/and” – this second wave of sustainability that focuses on human performance must build on the first wave that focused on building performance. One of the biggest contributions from LEED was uniting the energy efficiency market which lowered the greenhouse gas emissions of buildings that accelerate climate change. But climate change is also a human health issue, from the human cost of disasters made more severe by climate change, to the changes in our agricultural output that affect human diet. Clearly, the nexus of climate change and human health is a significant one. We understand that IWBI is working with a handful of senior housing developers. Can you share details about some of the work you’re doing in this sector? The senior housing providers we are currently working with are pursuing WELL Certification on their developments, which also means they are helping to inform the future of the WELL Building Standard for the senior living building type. We consider all projects that pursue WELL Certification as a collaborator in the development of the standard, as we use their feedback and learnings to develop new criteria and further refine existing requirements -- this is especially true of non-commercial building types, such as senior living. Give me a pitch, I’m on the search for a senior living community for my mother who just turned 84. One of the facilities that we are considering is WELL certified (or pursuing it). What are the benefits to my mom? Your mom would be very fortunate to live in a WELL facility. We touch on 10 key areas identified and reinforced by significant scientific research known to have an impact on human health, and when we are intentional about these areas, these impacts can work to enhance and improve your mom’s health and wellness, not compromise it. Take, for example, lighting. By making sure the lighting in the facility supports her natural circadian rhythms, your mom’s inner clock is reinforced in ways that can improve her cognition, her sleep and her happiness. A number of our seniors suffer from dementia, and the warm lighting at night can help minimize the anxieties that come at sundown. Similarly, bright light during the day is energizing and certainly helps those with eyesight issues compromised by the aging process. Another area is thermal comfort. We know our elders are frequently more prone to circulation issues as they age, causing them to feel cold. But just turning up the heat isn’t enough; it’s also balancing the moisture in the air to create an optimal thermal environment, something else that WELL accounts for. Another area is materials. Our parents don’t need to be in places where severe off-gassing of carpet, furniture or paint is occurring, and senior facilities refresh rooms far more frequently than other types of housing. WELL helps facility managers make better purchasing choices so that the respiratory effects of these silent toxins are mitigated. These are just three of the 10 areas – the others are nutrition, air, water, nourishment, movement, mind, sound and community, which is really important for seniors. And every one of these presents a cost-effective opportunity to improve your mom’s environment significantly. What can senior housing learn from work you have done in other industries, especially multifamily, hospitality or healthcare? Two key areas are great opportunities for developers of senior living. The first is the ability to address a variety of considerations in the design, mechanical and HVAC upfront at the base building level, what we call “WELL Core.” When the facility is built this way from the beginning, it can make it much easier to address the interiors of the individual rooms, the kitchen and laundry facilities, and the common areas. We’ve seen this play out exceptionally well in all our multi-family and hospitality work. However, existing facilities can also benefit from “plug and play” options, especially for individual rooms and common areas, where the impacts are tremendous and the costs are negligible. And if you’re a developer with multiple properties, we have a WELL Portfolio program that allows common policies and protocols to be applied across the building portfolio, aggregating cost efficiencies in purchasing, and also helping implement best practices across the board. There’s an optional interim milestone we encourage called WELL D&O (design and operations), where you can get visibility and credit for having key protocols in place, even though it may take time to get them fully implemented across all your facilities. We love being able to celebrate your commitment to the WELL journey. A common reason owners don’t pursue LEED is due to the belief that it will be too expensive or time-consuming. Assuming you come up against similar concerns with WELL? How do you respond? What’s the cost of not doing it? The opportunity to enhance your mom's health and quality of life! So much of what we address isn’t expensive – it’s just a different decision. We’re on a mission to educate more of the developer and AEDC community about the real impacts as fast as we can. Moreover, we also want people to ask for WELL because they deserve to spend 90% of the time they are indoors in environments that are good for them, not ones that compromise their health. We spend far too much on sick care in this country and diverting a few of those dollars to wellness investments has a significant potential for demonstrable ROI. It’s important to remember that WELL spaces are good for everyone who occupies the space – the caretakers, administrative staff, as well as the residents, benefit. Making the spaces where they spend their time healthier is a small investment that can reap huge rewards in fewer injuries, fewer absences due to illness, greater productivity and overall well-being. For senior housing providers who want to learn more, what’s the best place to start: your webcasts or other educational resources? We’d welcome everyone who wants to know more to contact us at info@wellcertified.com or to visit wellcertified.com, where we have a robust calendar of events, webcasts and training opportunities, and resources and materials. We’d also encourage your readers to explore becoming a WELL AP, so they can apply their new-found knowledge to their own organizations. 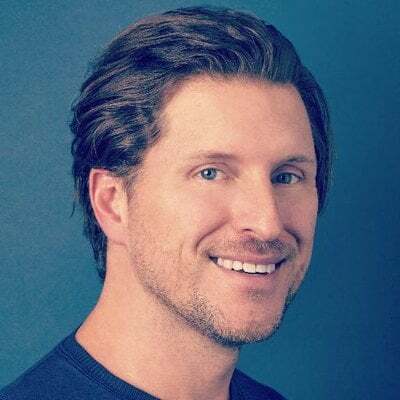 You’re speaking at SLIF’19 in Santa Barbara. I know it's several months away, but what should attendees expect from your talk? I hope I can inspire them to join our movement. Vulnerable populations of all types can benefit significantly when we put people at the center of every design and operations decision we make. We want everyone to have the opportunity to spend their days and nights in WELL places and spaces, and to help spread the word about how, together, we can create an enhanced quality of living for all. 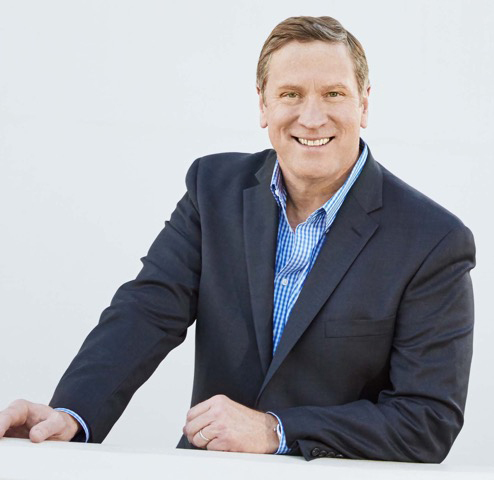 Rick Fedrizzi will be a featured speaker at the Senior Living Innovation Forum taking place June 23-25 in Santa Barbara. Join us! Also, in the coming weeks the SLIF blog will feature an article focusing on two senior housing developers that are actively pursuing WELL Certification.